Breguet Rattrapante Chronographs, Ref 3497 and 5947. 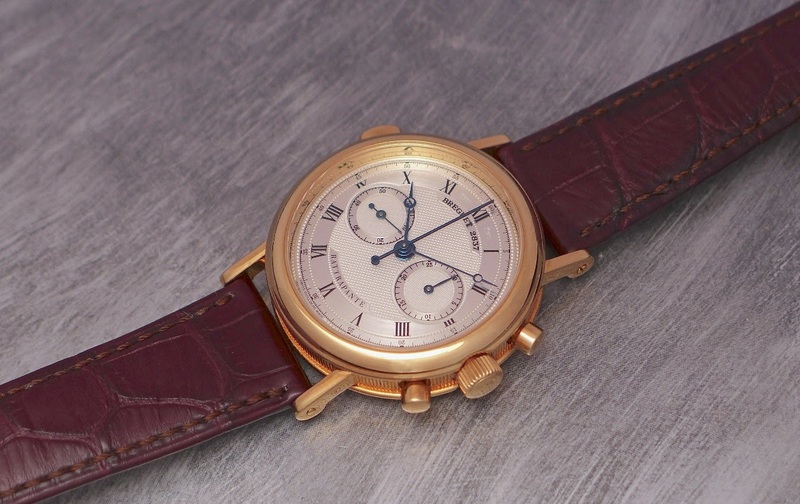 If you are a Chronograph Fan, you certainly know that manual winding Rattrapantes are pretty scarce. 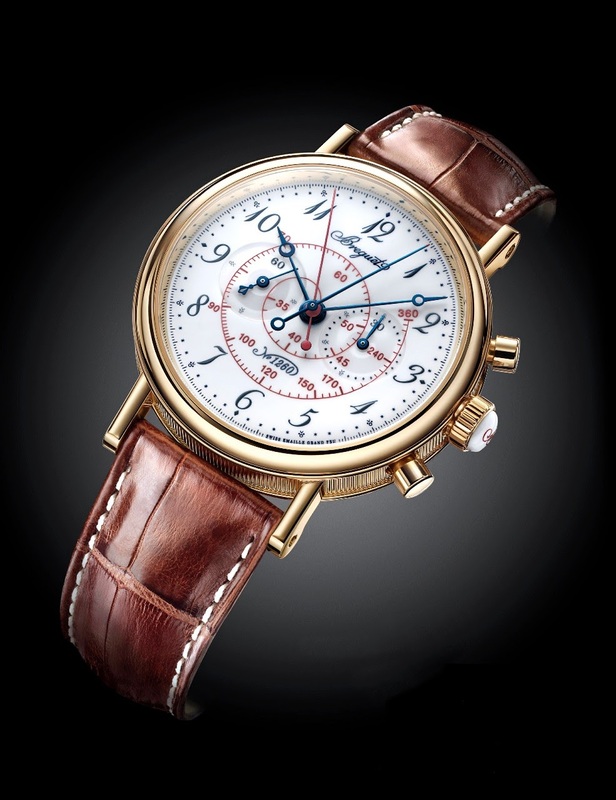 The Breguet Rattrapante is not the most famous one, the stars begin Patek and Lange on that matter. 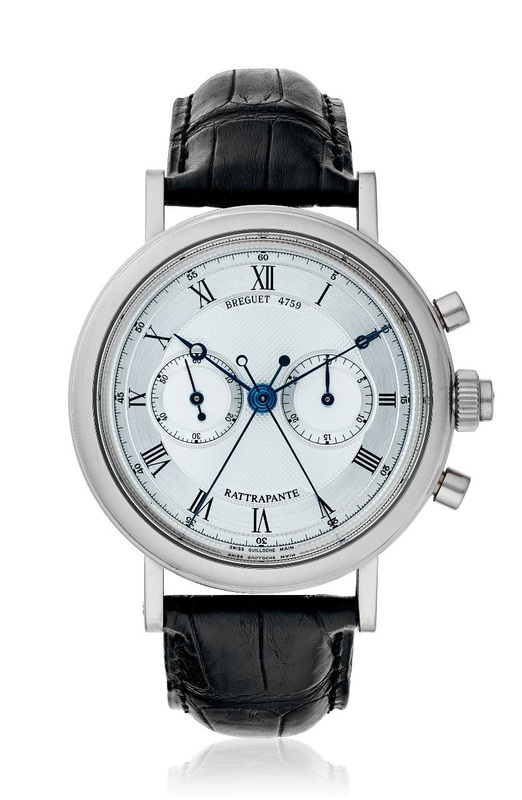 Still, the Breguet Rattrapante deserves to be known. I had the pleasure to see the Reference 3497 some days ago, in Paris. The aesthetics are very Breguet, with a fine guilloché dial, these typical hours and minutes hands, and this exquisite case. Some will say the whole watch looks a bit outdated, it is the reflect of its time, the 90's. Just after, came the new reference, the 5947, with a very similar dial and case, BUT with the Rattrapante pusher now located in the crown, when it was at 10 o clock, before. The movement is the reference Cal 535N. The Cal 535N is very nice looking, I must say. 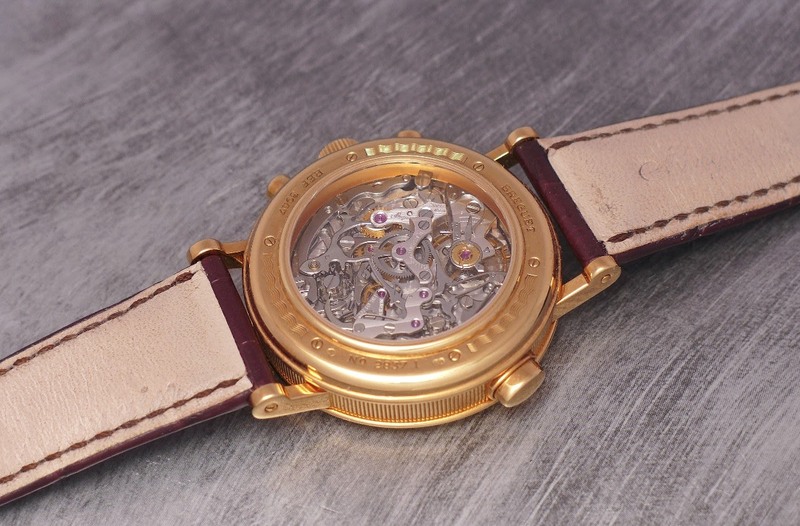 I read that it is an old Lemania, reworked and decorated by Breguet. The 5947 came also in a very small limited edition of 7 pieces, in yellow gold, with a superb enamel dial. I must say that if this version was released in white metal ( gold or platinum ), it might well have been one of my favorite! Breguet, please... Think about the possibility of releasing it in white metal! And please, while we are at it, keep this enamel dial, which is really sumptuous. My favorit is the first one with the pusher on 10 and in yellow gold. Breguet is yellow gold, or white and red mixed. More Breguet es imposible. Exactly my feeling. There is a white gold enamel, but without rattrapante. I mean, " simple " chronograph. I just saw a 5247 in Rose. I assume the difference is the 52xx has a lacquered dial instead of enamel. Still, it is a beauty as well. Can one have two grail watches? The grand feu enamel dial is mesmerizing. I thought I had already identified my grail but now I'm conflicted. Probably impossible to find but the excitement is in the hunt.